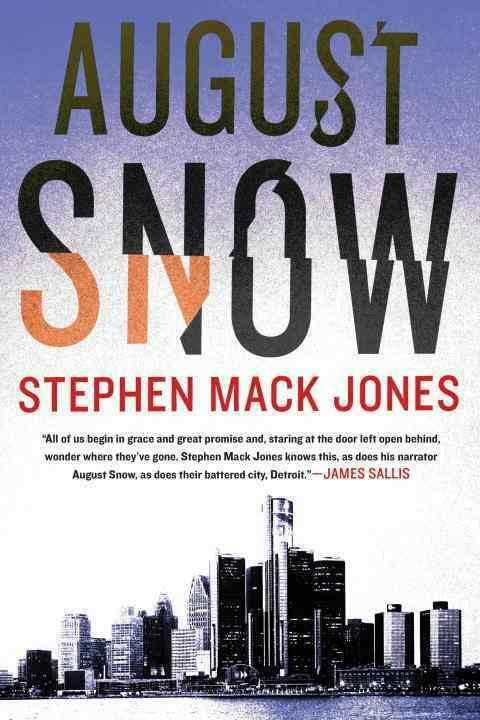 a book chick: "August Snow"
my take: This was recommended by Nancy Pearl (Book Lust) recently. She mentioned that in these unsettling times in the U.S. she's having a hard time concentrating and requires books that are page-turners to keep her attention and make the world go away. This narrative has a higher body count than my usual read. And it was a page-turner. It took me till nearly the end to figure out whodunit. We lived in the Detroit area for nine years: it was great to revisit the places I know and to discover much more. Makes me want to visit Mexicantown. my source: Nancy Pearl on NPR ... was running errands and heard her segment. I drove directly to the library. It was out at that (main) branch but in at northside location. By the time I got there, it too was checked out. Waited for the e-book to become available. Dang! Too many NPR listeners in town.